These days it is a rare miracle to get the time, temperament and the right kind of book to read for hours at a stretch and finish it in one go. As you get to explore more and more authors and genres, you realize, with some sadness, that it is getting increasingly difficult to satisfy the growing soul that is you. So you flit from one book to another, trying to find that magic that once was there in every story that you read. You long for that time when each author was fairy god mother or father as the case maybe, with a bottom less hat from which tale after enchanted tale was pulled out. 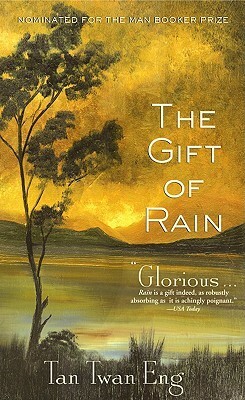 Then, out of the blue, like a long lost rainbow, you meet authors like Tan Twan Eng, who ensnare you with the lyrical quality of their writing, sears you to the core with the stories they have to tell and leaves you with an ache that saddens you and a pain that turns into the joy of something essentially good. My first meeting with him was more than an year ago and quite accidental. The cover caught my eye and the blurb gave a go ahead to the heart (yes, some books have to be read with your heart and soul). It took me a while to come out of ‘The Garden of Evening Mists’, in fact, each time I read a mention of it, a cool and gentle breeze descends on my soul. The Penang Historical Society was planning to celebrate the fiftieth anniversary of the Second World War as Philip Hutton receives a visitor who would take him back to his youth and force him to open some wounds that he had kept hidden, somewhere deep inside, never opening it out to anyone, leaving it to fester and killing him slowly and painfully. Born of a British father and a Chinese mother, young Philip feels he belongs neither here nor there. He feels alien to his elder, all British siblings – two brothers and a sister. His mother had passed away when he was young, and the only contact he has with the mother’s side of family is an aunt. At sixteen, he finds himself alone in their large bungalow by the sea, his father and siblings in England on their annual sojourn. And to his life appears Endo san, a Japanese aikijutsu master. As the cliche goes, Philip’s life will never be the same again. There is an unspoken closeness between the master and his student right from the beginning, as if they have known each other for more than a lifetime. As the bond grows stronger each day, it is also evident to the reader that there is more to Endo san than what meets the eye. It is not that Philip is not aware of this as well, but he chooses to ignore the obvious as many a young one is wont to. As Japan prepares for war overtly in other places and covertly in Malaya, the natives and British continue to go about their lives as though they are invincible. Philip is innocently pulled into the quagmire and inadvertently paves the way for setting the base for a Japanese invasion. At the same time, there is a transformation that is happening silently within Philip. He comes to terms with his parentage, his families on both sides, and finally he is at peace with who he is. The tragedy begins at this point, unfortunately. Soon as he finds his space, the very root of his love and convictions are tested, to a limit that seems almost beyond endurance. If Part One of the story is about Philip’s coming of age and of being a family, the real soul of the story is in Part Two. The war is in earnest, Philip is seen as an enemy by many and as a closest ally by others. The fact that he is working for the Japanese is enough for many to condemn him. Even the ones that he helps, seem to question his motives. With almost all whom he loved turning against him, his biggest pain is the knowledge of betrayal by his trusted master and love, Endo san. In short, a tale so well told that after ages, all I did on a Saturday was just read. Everything else was incidental. Verdict – I was ready to judge it a little above a customary okay, till Part Two happened. Read it if you love stories that question your ideals, makes you think about coincidences, choices, duty, love and a little bit about what this life is all about. I had brought back a long list of books to read from our vacation at Capella, Goa. Ayesha, our lovely hostess is mad about books and I had the time of my life combing through her bookshelves, finding new authors and discovering some titles that I had never heard of, from my favorite authors. 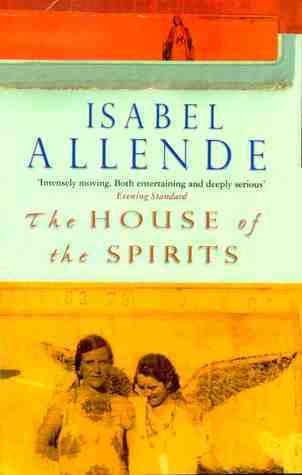 One author that was present in almost all her shelves was Isabel Allende and during our chat one evening, she recommended ‘The House of the Spirits’ as a must read. I finally got hold of a copy from the library last week. A few pages in, the wonder started creeping in. What is it about Latin America and its authors that enchants us so much, it is as if the word magical realism was invented by them. Maybe it is indeed. The del Valle women has something different about them. Nivea , the mother comes from a madcap family, while her daughters have their own peculiarities. Rosa, the eldest, is so beautiful and perfect, men are even scared of talking to her. Clara, the clairvoyant and the youngest in the family is the true heroine of the story. The spirits that are around her all the time, helps her predict the future of her loved ones, not that it is sufficient to help them when it is needed. Rosa is betrothed to Esteban Trueba, whose father squandered the family wealth and who is now working day and night in the mines so that he can provide his love Rosa, a life that is truly worth her. However, Rosa’s untimely and accidental death, sends him to his family estate that is in ruins. And this is where I feel the real story begins. Within a year, Esteban has not only revived his estate, but also established himself as a true lord and master of the people who work for him. What we see next is the rise of the classic feudal land lord, ruling with an iron fist, squeezing out the last bit from the land and his tenants, his eyes and arms never missing a young girl and leaving behind him a spew of progeny that he choses to first ignore and then forget. In the background is his dying mother and sister Ferula with whom he has a volatile relationship. He goes onto marry Clara who, even with her spirit wandering in another world, ensnares him so much that he doesn’t feel like even looking at another woman. In the true passionate manner that we attribute to people from that continent, Blanca, Esteban and Clara’s daughter, befriends their plebian manager’s son, who turns out to be a revolutionary and people’s musician. Esteban’s twin sons are as different as chalk and cheese – Jaime, the altruistic and empathetic one and Nicolas , whose only interest is in making money without any effort. The author takes us through the turbulent lives of these characters , shuttling between Esteban’s hacienda, Tres Marias in the village and the ‘big house in the corner’ in the city, both of which are ruled by Clara and her spirits. The narration is from the eyes of Esteban and his granddaughter Alba, Blanca’s daughter. The story is a true epic, it is as much about the tale of a country as it is about four generations of women, who influence and support each other, whether dead or alive. As the spirits wander around the houses, the country goes through the natural cycle of the rich land owners and the submissive , dirt poor workers who depend on their masters for their existence. The second generation turns against their fathers in both classes, one against the injustices and the other fighting for justice. The third generation tries to settle scores. The government moves from the hands of the rich and elite, to the socialists who comes into power with the intangible support of communists. In their blind scramble to get power back by hook or by brook, the rich hands over the country in a platter to a set of dictators. There are a lot many other characters, each having their own place and space in the story. The multitude does not confuse you but adds to the intrigue and strength of the story. The narrative style is so vivid, you feel as though you are actually living in that era, as a part of the Trueba family in a house that is enchanting and intimidating at the same time. The scope of the story is so vast, however hard I try, it is impossible to do justice and summarize it in a brief review. Though set in Chile, a country that is far off,the similarities are many. The rich land lords, the sons and daughters who rebel against the iron fists, revolution that is spread through songs, the illicit and torrid affairs between the haves and have nots, the very settings itself, reminded me of Kerala a few decades ago. Even the life cycle of Esteban, is so similar to the many patriarchs that we see even today in some of the hamlets. Like lions in their heydays, terrorizing whole villages, they slowly turn into indulgent and placid grandfathers as they grow old. The metamorphosis of land and man are intertwined with each other, one cannot exist without the other. Verdict – Must read, specially if you are one who loves passion, intrigue, revenge, affairs and love coupled with the history of a nation. Trivia – This is Isabel Allende’s debut novel. Rejected by several Spanish publishers , this was finally published in Barcelona in 1982. 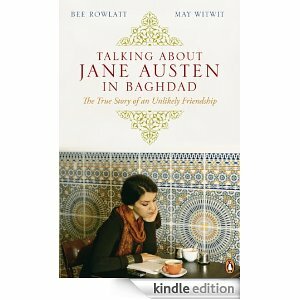 The title is what caught my attention, but the content is hardly about Jane Austen or for that matter even about books. What unfolds is the harsh reality of a life under siege, the helplessness and frustration of living under occupation and a stigma that has been imposed on ordinary people for no fault of their own. Bee, a London mother of three and a producer for BBC World Service Radio, sends an email to May, an English lecturer in American occupied Baghdad, for an interview. What follows is how amazing relationship grows, nurtured through mails and an occasional phone call over a period of three years. While Bee’s letters are more often about her life , husband, kids, her extended family and her work, May’s correspondence opens up a world of hopelessness, frustration , sadness , disappointment and anger at a life that has been thrust on her. As they correspond with each other, slowly a plan emerges to get May and her husband Ali out of Baghdad and the two become more than just friends. For Bee, it becomes almost a mission, it is as if her own sister is caught in a country from where escape seems almost impossible. The real eye opener is the reality of a normal citizen’s life in what was once a peaceful country. May writes about how one day they woke up suddenly to find their country at war with Iran, a war that continued for eight years. They heaved a sigh of relief as it ended only to find themselves at war again soon, this time with Kuwait. What happened to Iraq after that is known to all, but what many of us may not have realized is how the lives of common people changed. The irony is in the fact that the West raised an embargo on Saddam Hussein to teach him a lesson and his life was the least affected by it. Bee is unwilling to give up and at the same time, exhorts May not too raise her hopes too much. At times, she comes across as a little harsh, but then you realize she is right in doing so, May has to be prepared for the realities and the tough path ahead before she can , if at all emigrate to the UK. Another aspect that comes out in May’s letters is her relationship with her second husband Ali. But for him, May would have been able to get out of the country relatively easier. But she is sure that Ali’s love is something that she would not be willing to give up , even for the unthinkable freedom she could have out of her home country. The part where May writes about her students and what she has to teach about is as ironical as the rest of her life. She is met with blank faces as she lectures about human rights and democracy and it takes her some time to understand the reason. Verdict : A must read, makes you thankful for even the little things in life that you so take for granted. That William Dalrymple is a travel writer par excellence is a well known fact. Even while being accused of being biased in his opinions, his ability to churn out brilliant stories were never disputed. This book is no different , a story which has its roots drawn from the writings of a sixth century Byzantine monk, John Moschos, it takes us through the paths that Moschos traversed in the sixth century and Dalrymple followed some 1500 years later. 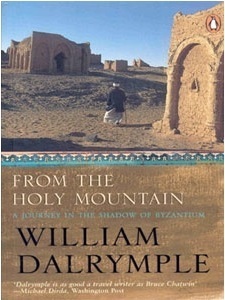 Starting from a monastery on Mount Athos, Greece, in June 1994, Dalrymple takes us through the war and man torn lands of Istanbul, Antioch, Syria, Lebanon, Palestine, the controversial West Bank, Jerusalem, Nazareth and finally ends a little less than a week before Christmas, in the desert of Kharga, in Egypt, once considered the Siberia of the Byzantine Empire. As he travels across arid deserts and deserted monasteries, the recurring theme is that of a sometimes abandoned , most times destroyed remnants of a once powerful empire. Churches in ruins that even now would surpass the most well known and well preserved Basilicas, forgotten caves and desolate structures that are dispersed throughout the Middle East with a few old world inhabitants who refuse to leave, the pictures that he presents are vivid and depressing at the same time. A few of the themes that recur throughout the book is how Christianity was essentially an Eastern religion, how similar it is to Islam and how cultures across are so different yet remain similar. It is interesting to note how each change in culture mostly starts peacefully, then slowly the seeds of intolerance are sown to weed out what is not their own, finally culminating in a near total destruction of the one that was there originally. A matter of history repeating itself, or as a friend of mine put it, history echoing itself across regions and religions. Even in between all the strife and war, you can see Muslims coming to pray in obscure monasteries , bringing the weirdest of offerings and Orthodox priests assessing in these offerings in a very matter of fact way. It is heart wrenching to read about people who are asked to leave their house overnight leaving behind belongings of their lifetime, coming back to find strangers closing these very same doors on their faces and who still continue to live in the never ending hope of that ‘some day’. Be it fundamentalism , questions of ethnicity or issues of compromising to the diktats of majority, one fact is indisputable – it is the alarming decrease in the population of a minority that was once a majority. Almost everywhere that he visited, the educated young had already or were in the process of emigrating to the West or Australia. His conversations with the Orthodox priest Fr.Theophanes of the Monastery of Mar Saba on the Israeli occupied West Bank is particularly hilarious. Contrary to what my Sunday school nuns taught me, this priest says all Catholics will end up in hell along with Freemasons. He had seen Christian population looking happy only in Syria and had warned that this may change “as soon as Asad’s repressive minority regime began to crumble.” Ten years down the lane, we are getting glimpses of what is happening in Syria. It would be interesting to know what happened to the scores of other not so happy and clearly unhappy people that he wrote about. Verdict : Not an easy read, you need to take it slowly. 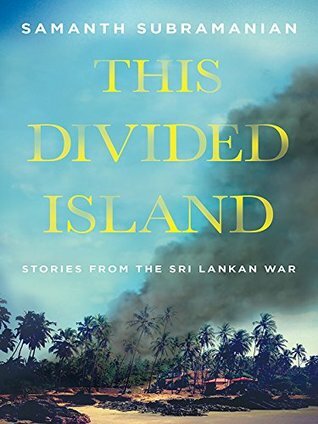 But definitely worth it if you love reading about long forgotten lands, mysterious monks, disappearing cultures, enigmatic monasteries rising out of vast deserts, in voices that are sad, happy, nostalgic, angry, resigned, hopeful…in short, if you love reading about history, religion and travel. Let me get it right at the outset. 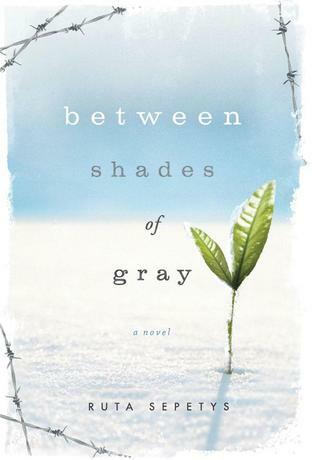 This book has nothing even remotely to do with the infamous Grey series. In fact. nothing could be as dissimilar. 15 year old Lina leads a happy life with her parents and younger brother in their home in Lithuania even as rumors of a Russian invasion wafts in the air. Until one day when her father fails to return home from work and soldiers come knocking at their door the next day. She, along with her mother Elena and brother Jonas is taken on a train journey that lasts almost eight weeks. For a family that has led a luxurious life, life in a boxed compartment where people are packed in and the only way to relieve themselves is through a hole on the floor, it is a hell that they could have never imagined even in their worst dreams. The story takes us to a beet farm in Siberia where they are made to work in the most extreme and pathetic conditions and from there to the polar tundras by the Laptev Sea(northern coast of Siberia) . The conditions in which the captives are expected to live has to be read to be believed. Lina is a gifted artist and she keeps track of the places, incidents and people through the sketches that she guards defiantly. The pain and longing of a first love is beautifully captured in the evolving relationship between Lina and young Andrius. 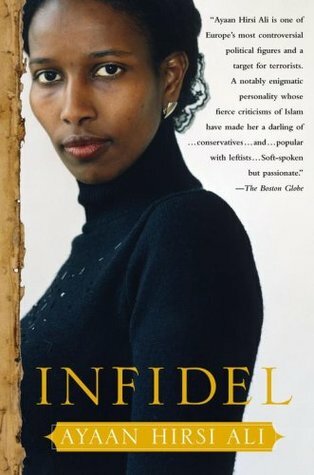 The author has beautifully brought out the emotional dilemma of a helpless boy where he tells Lina why his mother is doing what she does and why he cannot do anything about it. The persecution of the Jewish race by Germans is something even a small child would know, so much has been written and discussed about it. Some of the books that I’ve been reading in the recent times have taken me through hereto unknown stories and perspectives of the word wars. I am left wondering how many more could be there from each part of the world. What do these wars finally achieve?